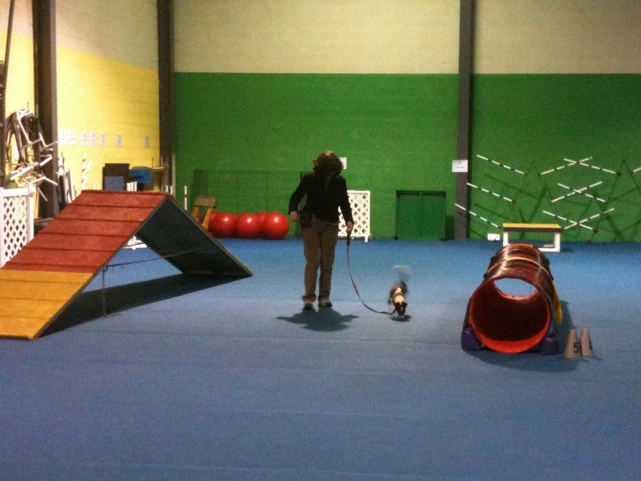 After a week off for Thanksgiving Scraps continued his advanced beginner agility class at K9 Campus. It’s a cold night outside bid cozy in the big open agility room. Lots of tunnels were set up tonight with hoops. Like last week, the objective of this class will be to untrain Scraps from running to an extended hand and finger as he follows Kathy though the course, but rather, follow her entire body and its angular direction. This will enable us to eventually use arm and hand gestures for other directives to Scraps. It’s a bit frustrating to watch because you know they can do better, but if we succeed at this technique it should really help our control and speed. 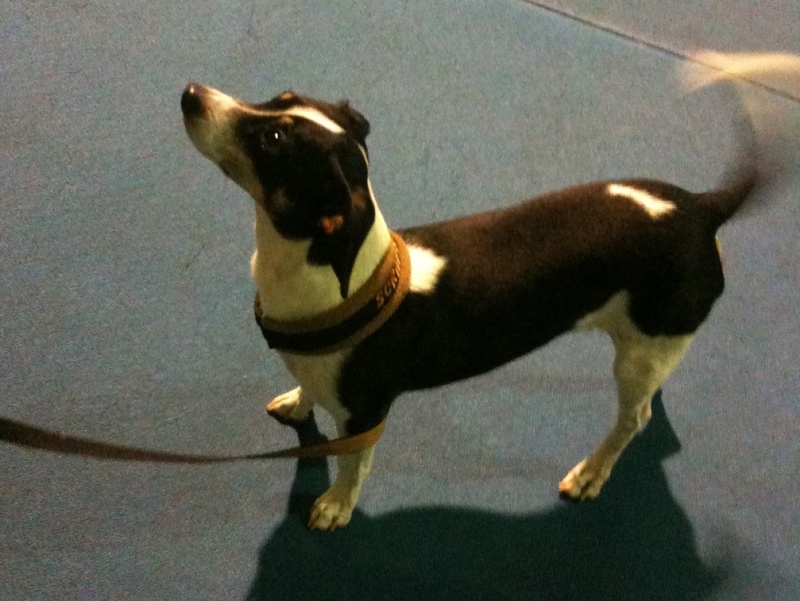 It will hopefully keep him from getting distracted by sniffing at smells because he is running quickly. It is a win-win situation if you can get it. For the second run of the night we added a few contacts in the mix to see how well we can run. It has a lot of S-tunnels so we will have to see how that goes. The run ended up pretty good as Scraps did a nice easy run, only once distracted by my presence. We ended the night with a little free form practice on the teeter. A good week of practice which really drives home the hope that running on the course is the goal, not just completing obstacles. Until next Friday for Scraps but we have Sunday with Rags back at St. Huberts, so check in then.